Service dog? Emotional Support Dog? Companion animal? Therapy? Stop, the world is spinning with all the terms that are tossed in conversation about why someone has an animal they want to take in public. The truth is that it is often hard to figure out which animals are legal service animals with public access and which animals do not. Service dog are dogs defined by the federal law, the American's with Disabilities Act. They must have a trained skill or task which is directly related to the individual's disability. They are tools, not pets, which have public access when working and under control of their handler. The training work or tasks are skills which the dog uses to help mitigate limitations caused by the individual's disability and increases their independence. A variety of trained skills exist today and the industry continues to grow as we learn more about different disabilities and the ways dogs can learn to help human partners. The trained skills are specific person to person. For example a trained skill for a hearing impaired individual may be to alert the person to the knock at the door or it may be to help an individual in a wheelchair to turn on and off their lights. It is not a trained skill for a dog to turn the lights on and off for a person who can reach those switches or for a dog to alert to the knocking on the door for a person with normal hearing. According to the federal law, emotional support and companionship are not service dog skills. If a person wants a dog to be with them in public and the dog's behavior is a normal dog behavior, such as allowing itself to be pet or walking with someone on a leash, the dog is not a service dog. All people using service dogs must be able to answer 2 questions, which can be asked by anyone. The first is: Is the dog required because of a disability? The answer to this question is a simple yes or no. The second is: what task or work has the dog been trained to do that is directly related to the individual's disability? This is not asking what is the result of the partnership. Answers along the lines of "He helps me to be calm" or "he reduces my anxiety" are not answering the question. The answer needs to tell you what the dog was trained to do that result in the behavior mentions. A few examples are: "My dog is trained to interrupt a repetitive behavior I unconsciously do before a PTSD episode." Or "My dog is trained to alert me to specific sounds that I cannot hear? Or My dog is trained to fetch dropped items because I cannot safely pick them up." These are only a very small sample of proper answers. The law says an individual using a service dog cannot be asked for certifications or other identification on their animal. They cannot be asked to prove their disability or provide a demonstration of the trained skill. All disabilities, both physical and psychological, may be good matches for service dogs. If a dog can be trained with a skill that mitigates limitations caused by the disability, then a service dog could be working with that individual. Service dogs can be trained by training programs (for profit and nonprofit), private trainers or individuals. They must all meet the same standards. The process, for any breed—pure or mixed—takes about 2 years and about $25,000. The human member of the partnership has responsibilities that come with the privilege of using a living tool. The service dogs must be well behaved, non-aggressive, and under control of their partner at all time. The user is responsible for the dog's needs and behaviors—not the facilities. This means the restaurant does not provide a bowl with water; the dogs do not sit on the chairs; the dog does not play on a public beach when pets are not allowed. (Remember the service dog has public access when it is working—not for recreation.) The dog should be next to the person (not wandering at the end of a leash), or under the table—out of the way. If the dog is sick or causes damage to something, the user must clean up and pay damages. If a user is not able to keep the animal under control or respond responsibly to a mistake the dog makes, the team can be asked to leave until the animal is under control. Note: The Americans with Disabilities Act says only dogs and miniature horses can be service animals. If you feel someone is lying about having a service animal, or is not taking proper responsibility of the animal, you can bring charges and the court system will determine if the animal is compliant with the federal law. Emotional support animals are animals which provide comfort, encouragement and companionship. They do not have individual specific trained skills. They do not have public access. 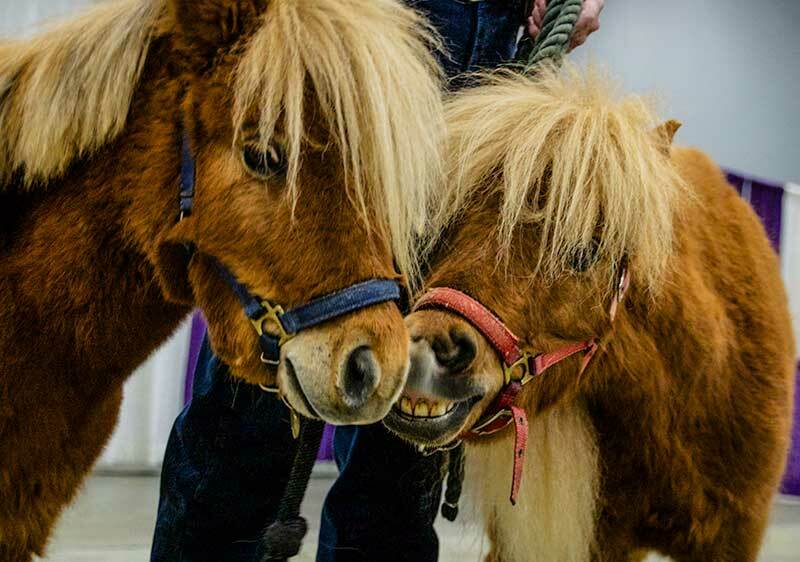 Emotional support animals masquerade under different names—companion animals, personal therapy animals, and yes, some people event try to call them service animals. They do not have trained skills specific to the individual's disability. They can be a variety of animals—birds, cats, dogs, guinea pigs. Emotional support animals do require documentation from the doctor treating the individual stating why the individual needs this animal's companionship to increase their quality of life. An example of a reason for this type of animal is when doctor might prescribe an emotional support animal to help an individual with depression to be motivated to get up at a set time and go through a healthy morning routine of feeding themselves and the animal with healthy food for both in addition to good habits such as proper cleaning of both living spaces. An animal will need the title and documentation of an emotional support animal for housing which does not allow pets and when traveling by plane. Emotional support animals are governed under Fair Housing Act and the Airline Carriers Act. Visiting therapy animals are most often dogs. These are animals which use their shining personalities to make life a little brighter for people in hospitals, nursing homes, and other such areas. They sometimes do tricks or sit with someone to help a person forget about a procedure being done while in a hospital room. They allow people to pet them helping to bring smiles and reduce stress of people who are in for surgeries and rehabilitation. Therapy dogs sit with children learning to read, encouraging the child by lying calming and listening without judging or correcting. They sit in courtroom helping someone to relax and give honest testimony in emotional charged cases. Therapy dogs always work under instruction of their handler/owner. As a team they have studies and pasted tests done by therapy dog programs around the country. They earn the right to wear therapy dog patches and can purchases insurance for their working hours through many of the therapy dog programs. Therapy dogs do not have public access. They can only visit places they are invited to. All of these dogs have important roles in the lives of the people around them. Each should be respected and valued for those roles. Using a dog improperly is violates the law, but is disrespectful of the teams which have trained and are compliant. Please be respectful and supportive of all these dogs and the work they do. 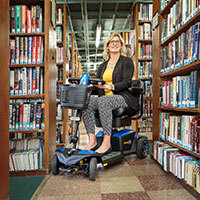 Kristin Hartness is the Executive Director for Canines for Disabled Kids. 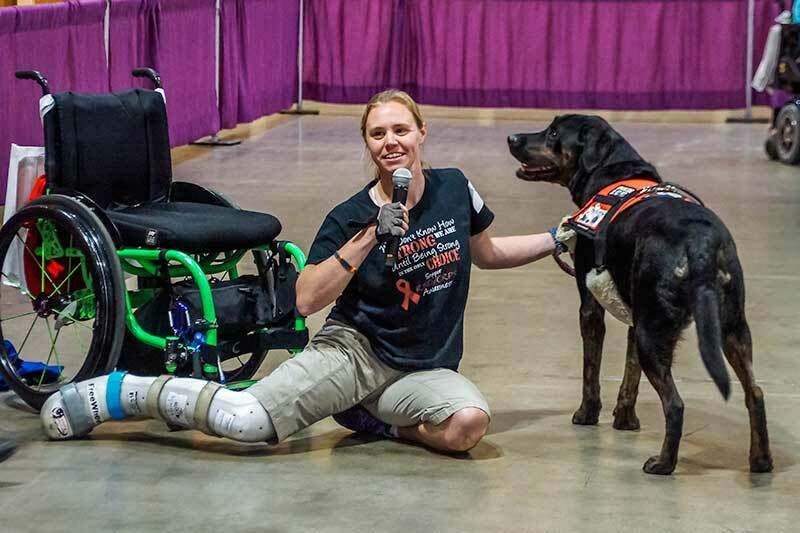 An accomplished public speaker, Kristin speaks nationally and internationally on the value of service dogs in the lives of people living with a variety of disabilities and the laws which govern them. She works with communities, schools and businesses to help them welcome service dog teams through their actions and policies. A service dog user herself, Kristin knows firsthand the independence a service dog brings to an individual. 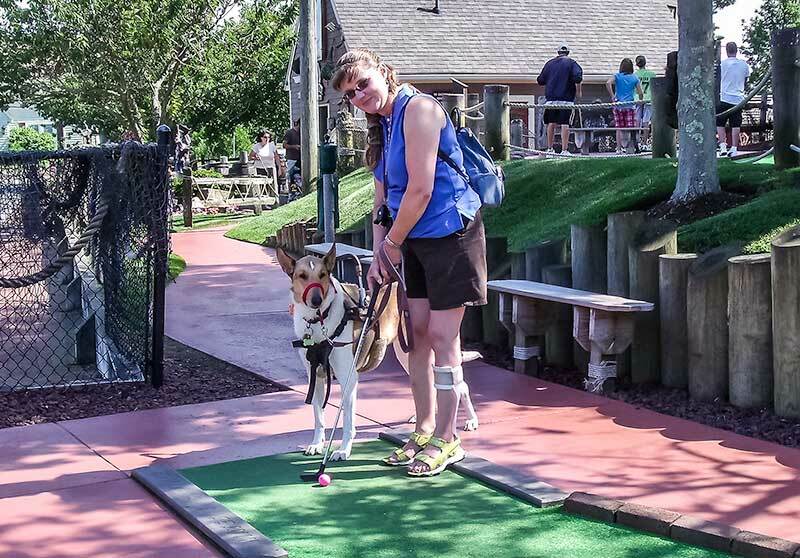 Kristin's newest partner, Asha, a smooth coat collie, continues to bring independence to Kristin's active life.